Here is a portion of an article by Natalie Wolchover for the LiveScience website. To read the complete article, check out other resources, and learn more about LiveScience, please click here. Before the invention of the wheel in 3500 B.C., humans were severely limited in how much stuff we could transport over land, and how far. Wheeled carts facilitated agriculture and commerce by enabling the transportation of goods to and from markets, as well as easing the burdens of people traveling great distances. Now, wheels are vital to our way of life, found in everything from clocks to vehicles to turbines. Without nails, civilization would surely crumble. This key invention dates back more than 2,000 years to the Ancient Roman period, and became possible only after humans developed the ability to cast and shape metal. Previously, wood structures had to be built by interlocking adjacent boards geometrically a much more arduous construction process. Meanwhile, the screw a stronger but harder-to-insert fastener is thought to have been invented by the Greek scholar Archimedes in the third century B.C. Ancient mariners navigated by the stars, but that method didn’t work during the day or on cloudy nights, and so it was unsafe to voyage far from land. The Chinese invented the first compass sometime between the 9th and 11th century; it was made of lodestone, a naturally-magnetized iron ore, the attractive properties of which they had been studying for centuries. 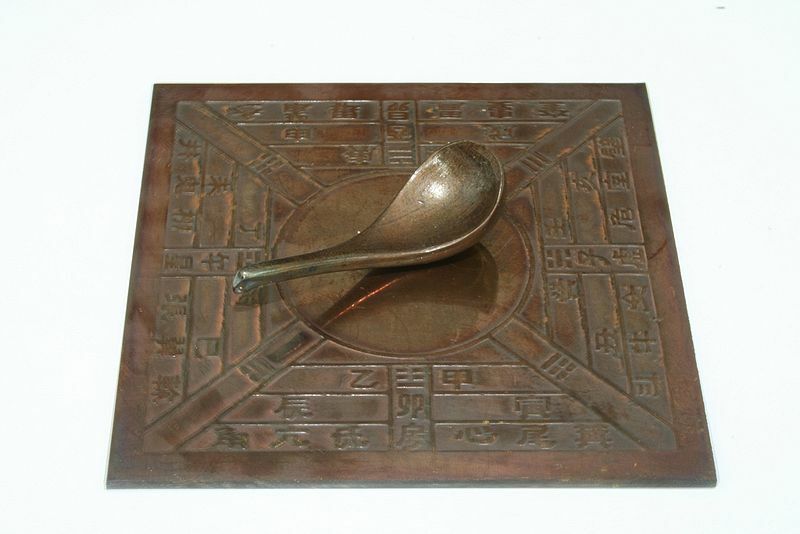 (Pictured is a model of an ancient Chinese compass from the Han Dynasty; it is a south-indicating ladle, or sinan, made of polished lodestone.) Soon after, the technology passed to Europeans and Arabs through nautical contact. The compass enabled mariners to navigate safely far from land, increasing sea trade and contributing to the Age of Discovery. Natalie Wolchover is a staff writer at Quanta Magazine covering the physical sciences. Previously, she wrote for LiveScience, Popular Science, Seed, Make magazine, and other publications. She has a bachelor’s in physics from Tufts University, studied graduate-level physics at the University of California, Berkeley, and co-authored several academic papers in nonlinear optics.